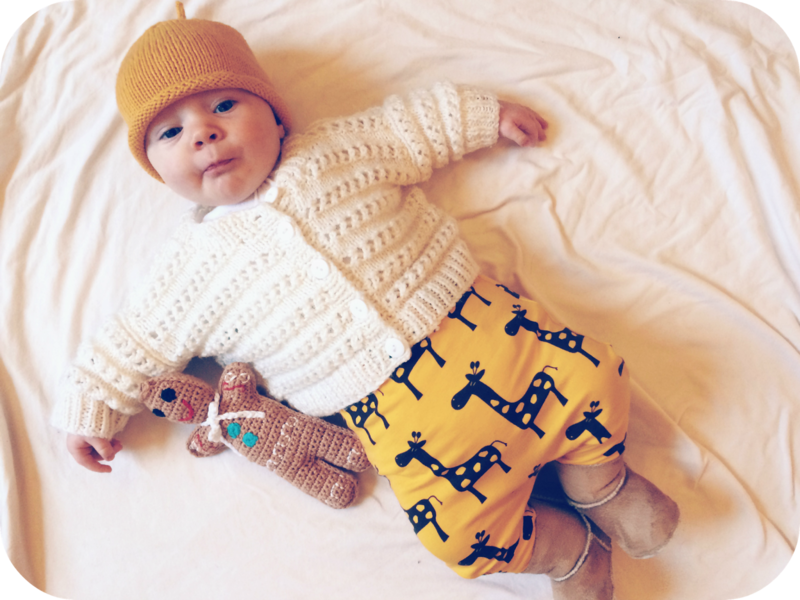 The day before we headed off on our Christmas holidays, this gorgeous little gingerbread man arrived for Effie from Hello Daisy and it was love at first sight. I think it probably helped that Milo unwrapped and presented it to her, he is very much her favourite. It's the first toy I've ever seen her have any interest in, it's lovely to see her face light up when he appears and she actually makes attempts to reach for and hold it too. Plus she does that super cute excited whole body shake baby's do when they're especially happy, when you present it to her. 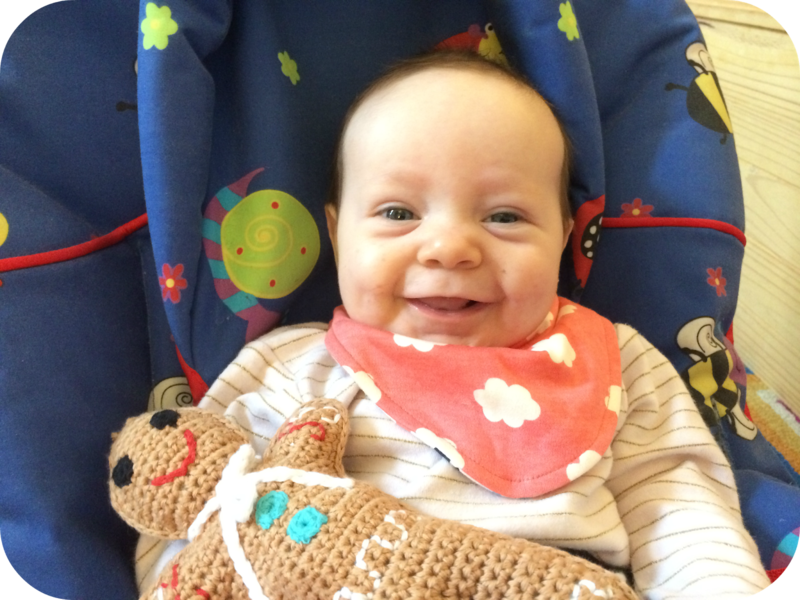 This lovely fairtrade, crochet gingerbread man is soft with a little rattle inside, all his details are made of yarn so no choking worries, which is reassuring as putting things in her mouth is currently Effie's favourite. The gingerbread man himself is handmade by Pebble in Bangladesh by local women and is run in association with Hathay Bunano, from their website: 'Hathay Buano provides fairly paid, good quality, flexible and local employment for rural women who are poor and often disadvantaged'. I love their ethos and especially love that the majority of their toys are crocheted! Hello Daisy have a whole range of lovely Pebble crocheted toys along with a whole host of other gorgeous baby items, plus they are local to me, in Cheltenham. 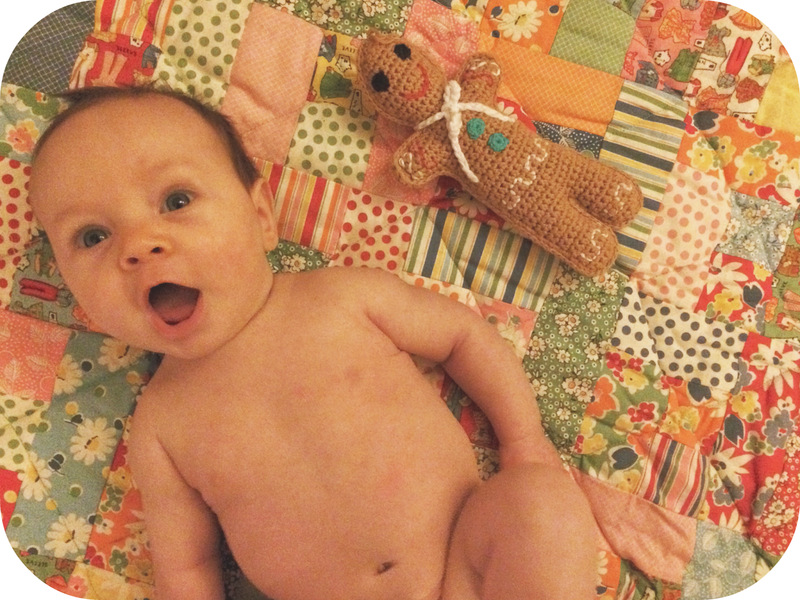 **we were kindly sent this gingerbread man to review but all thoughts are our own.